The ultimate al-fresco dining experience. 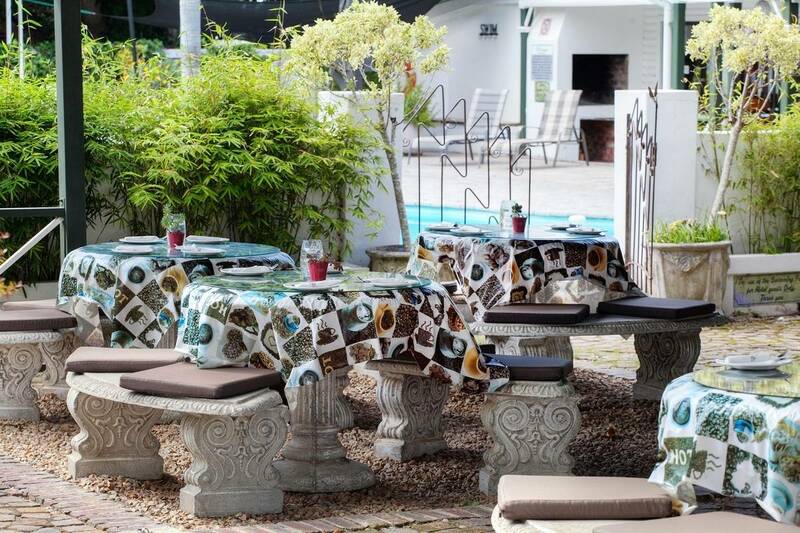 This al-fresco dining area is set in a beautiful courtyard looking onto the fountain in the middle, complimented by an enchanting statue of the delightful Bacchus himself. Indulge in one of our freshly baked cakes and a spot of tea overlooking the swimming pool and play area across from Cafe Bacchus. The menu consists of a selection of snacks, main meals and teatime treats. Stop in anytime for an old-world experience.